by Ariel Pate World War I Album. Permalink. Inside of one end of the tent a wooden framework was set up and this covered with tar paper and opaque curtains to make it light-tight. It was also just about as air-tight, but men worked steadily in shifts in this hotbox for six consecutive days and nights—and came out alive. 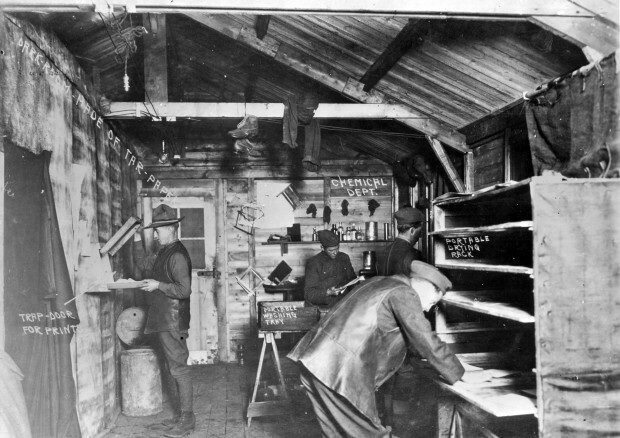 This photograph, from the 5th Photographic Section, shows the inside of a printing lab—complete with portable drying rack and washing trays. To the left a portion of the shed has been blocked off with tar paper to create a darkroom. Water for rinsing the prints was often hauled in buckets from nearby streams. Laboratory of the 5th Photo Section, France, 1918-1919. National Archives and Records Administration. Image courtesy of Harry Kidd. 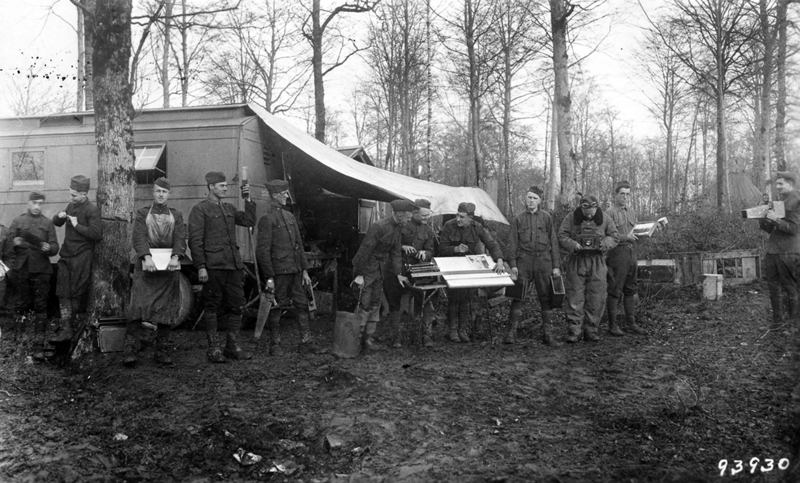 This photograph shows the 12th Photographic Section in front of one of the mobile darkroom trailers. Each man poses with a piece of the equipment needed for the process—from an airman with a camera to a lab technician wearing an apron. 12th Photo Section in France, 1918-1919. National Archives and Records Administration. Image courtesy of Harry Kidd. 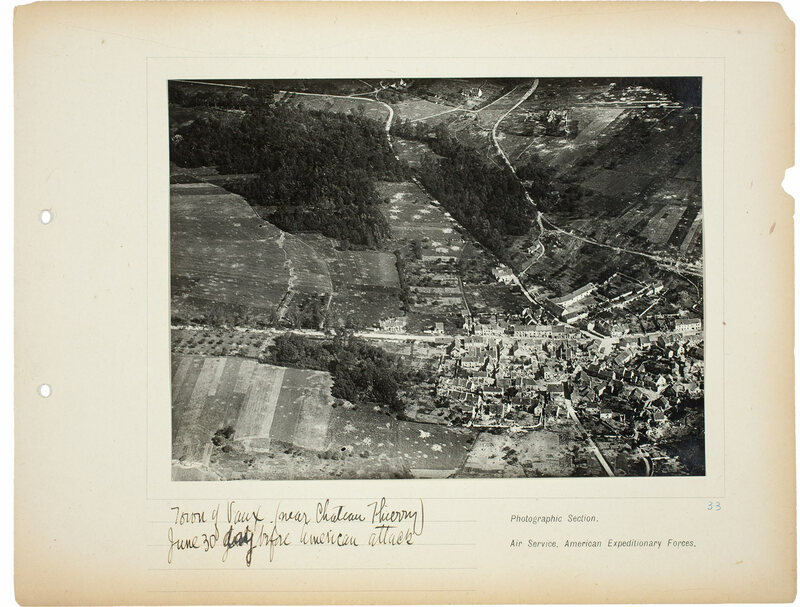 Edward Steichen, “American Aerial Photography at the Front,” The Camera: The Magazine for Photographers (July 1919), p. 363.